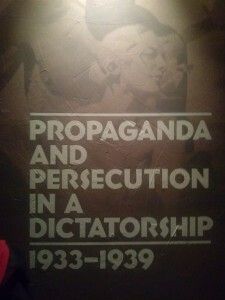 A panel from “State of Deception,” a travelling exhibit from the U.S. 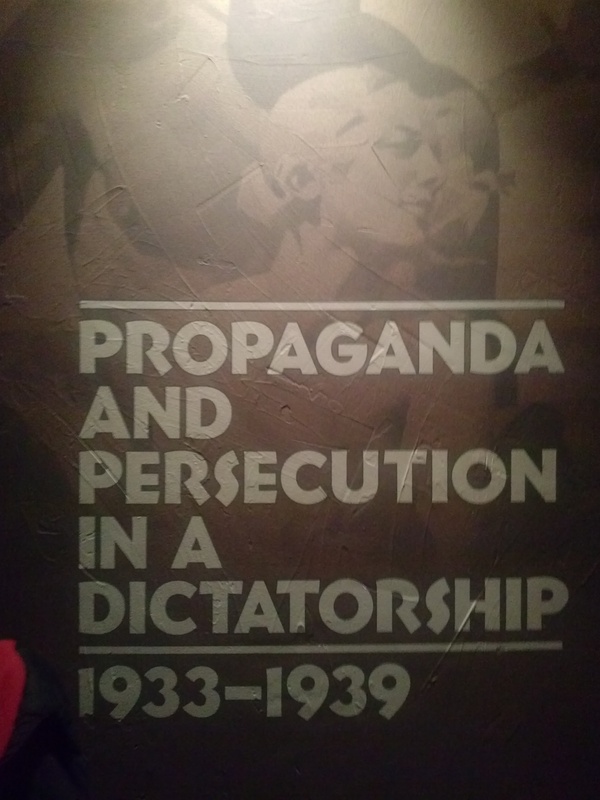 Holocaust Museum that was at the Field Museum last year. Photo by Devin Belcher. Recently, I heard about people in California that were speaking out against the Holocaust. They were saying the Holocaust didn’t happen. It was then that I knew sharing the photos and writing about the exhibit was a must. Hitler used the German people’s fear and need for jobs to feed hatred for the Jews. Some of the Jews left Germany and went to the United States for help and were turned away. After the Nazi army grew and became powerful, they started moving into other countries such as Poland and parts of the Soviet Union. In the takeover of these other places, the Nazis killed anyone that was not for the Germans and people who had what Hitler considered to be flaws, such as: people with disabilities, Jehovah’s Witnesses, Communists/liberal leaders, and homosexuals. It saddened me to hear testimonies of how Jewish people could no longer be friends with the German people they had known for years. 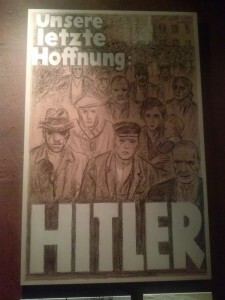 Using posters and radio broadcasts, Hitler created images for the German men and women to relate to. Through the posters and radio broadcasts, Hitler was able to appeal to the wants and needs of the German people, making it easier for them to turn on Jewish who were once their friends. Jews’ homes and businesses were taken from them and they never recovered them when the Holocaust had ended. This entry was posted	on Thursday, April 2nd, 2015 at 5:53 pm. You can follow any responses to this entry through the RSS 2.0 feed. You can leave a response, or trackback from your own site.